“It is not known to all that, in the renowned confectionery and pastry shop G. Baj in Piazza del Duomo, Milan, you can find ready and fresh the local specialty of Panettone. It was awarded at several expos and receivedfirst rating at the International Exhibition held in Milan in 1887”, reads an ad on a Milanese newspaper from 1895. 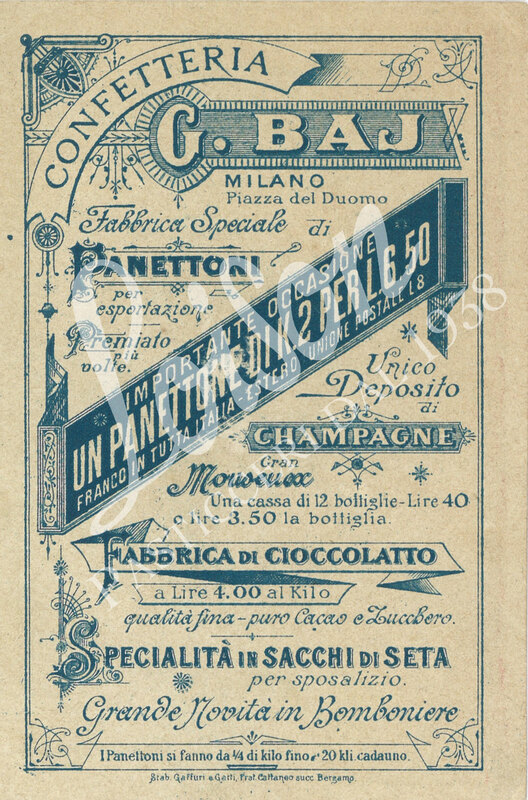 Pasticceria Bajwas among the most famous makers of “luxury Panettone”, and was determined to emphasize its importance: they could ship up to 20 kilos of Panettone to destinations around the world. This precious chromolithography print is an example of early advertising. It was a fad that started in France in the mid-19th century and enabled firms to sponsor their own products by simply offering gadgets to their customers. Chromolithography is a method that stemmed from the process of lithography: the multicolor prints often depicted amusing scenes. The most famous prints became numbered series and are highly sought after by collectors today. Straightforward, simple and fun, sometimes even daring, the printed stories captured the viewer’s attention and directed it to the product and the promotion. 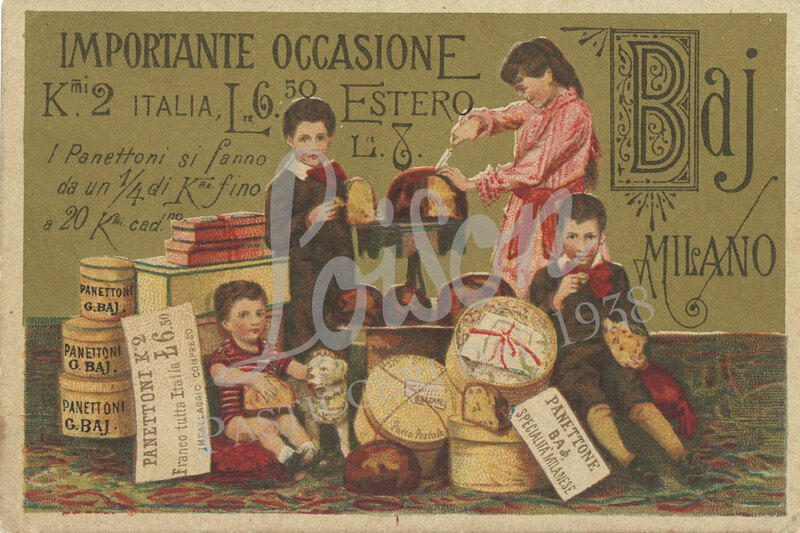 Just like this print, where children are sitting around stacks of hatboxes containing Panettone. A girl is cutting a piece of cake for herself, while her younger brothers are already enjoying their share.